There will be three figures added to the scene, one soldier that will paint the mud on the vehicle and that will be scratch build, and two more guys that will do some maintainance work on the track. These are from an engineer resin set, and are ready to be painted. For the bowl that is used to paint the mud I made both a positive and a negative mould from putty, and finally created the bowl from a thinly rolled sheet of putty. I started to build the Panzerwerfer, and by now I mostly utilized spare parts from a Dragon Maultier kit, which has a lot of unneeded parts that were meant to be used for a Opel Blitz truck. As the Italeri kit is that bad, I try to use this kit only as reference, and will start to built the undercarriage using the spare parts and the photographic reference material available. 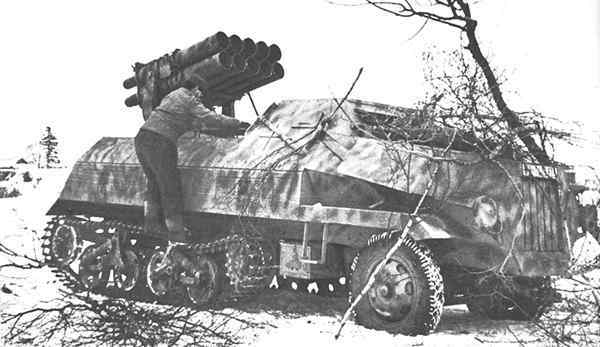 The next project will be a vehicle that I like very much: the Panzerwerfer 42. It consists of an Opel Maultier half-track, with an armoured hull and an 15cm tenfold rocket launcher on top of it. The kit I will use is the very old Italeri one, I also have a PE set from Voyager and a Maultier kit from Dragon, that will contribute some spare parts. The Italeri kit is of such poor quality, that I think about rebuilding the whole upper hull from brass. As reference I sourced some pictures from a walk around of the still existing vehicle in Saumur (France), and I also bought the compehensive volumen 30 of the Nuts & Bolts series, dealing also with the different Nebelwerfers and the Waffen-SS Vielfachwerfer. I also added three crew figures in resin. The scene is thought to be located in Russia in the winter of 1944.